Stone Correspondences - What on Earth is THAT Crystal For? Stone Correspondences – What on Earth is THAT Crystal For? A crystal's healing properties are diverse and abundant. Healing crystals and gemstones are abundant in the world and have been used for centuries to address afflictions that affect both the mind and the body. Agate: This stone is made of tiny flecks of quartz in ribbons. It is waxy and soft and always translucent. It helps to build self-confidence. Also, it helps with left and right brain balance. Earth, For grounding and balance. For strength, protection and support. Aids strength and courage. Compels truth, promotes good manners, happiness, intelligence, prosperity, longevity, fertility, and good health. Assists in making and keeping friends, helpful to farmers and those interested in growing plants. Aid in restoration of energy, used in healing, and believed to bring wearer happiness, wealth, health, and long life. Increases ability to ward off self-induced anger and inner bitterness. Alexandrite: Stimulates sexual powers. Stimulates happiness, good fortune, success. Warm and loving stone. Alexandrite is believed to purify the blood, strengthening blood vessels, and improving blood flow. It is believed to bring balance in the interaction between the physical manifest world and the unmanifest spiritual, or astral world. It opens the crown chakra, bringing one access to the warm, healing energy and love of the universe. It is also said to strengthen intuition, creativity, and imagination. Amazonite: This stone is representative of prosperity. It helps to open the heart, throat, and solar plexus chakras. It increases your self-esteem and helps you to communicate better. Regulates thinking faculties. Hope stone. Strengthens physical stamina. Amazonite crystal therapies are primarily associated with filtering out stresses, healing traumas, and soothing energies in the home and workplace. It calms the brain and nervous system and aids in maintaining optimum health. Balances the masculine and feminine energies. The stone’s healing properties can help with lung, chest, sinus, and throat problems. It’s also been known to help with calcium deficiency, tooth decay, and osteoporosis. Amber: Clear or orange petrified tree sap is the charm of this stone. It helps in past life work. The stone gives the person mental acuity, confidence, and a balance in their thinking. It can help with depression and bringing forth a positive attitude. This “good luck” stone brings the purifying, revitalizing force of the sun and the absorptive, transmuting energy of the earth together to create a powerful tool. Draws disease out of the body and transforms it. Clears negativity. 2nd chakra. Mercury. High electrical charge for positive energy. Harmonizes Yin and Yang. Reduces fluid retention and helps to detoxify the urinary system. Filters germs and infections and has the power to disinfect. Worn around the neck to help fight infection and respiratory diseases. Lifts the spirits. Amethyst: This stone is for dream recall. It can help enhance psychic abilities. It reduces nightmares when worn at bedtime. It is considered the master healing stone. Spiritually uplifting, intuition, Inner alignment. Helps heal arthritis, hearing, and bones. 6th chakra. Venus,Jupiter, Pluto. Eases compulsive/obsessive behavior (desire for food, tobacco, drugs, alcohol, etc) calms an overactive mind, increases self-esteem, aids sleep. Relieves headaches. Enhances your mind, intuition and insights concerning practical things. Assists those to maintain faithfulness, gives wearer the gift of tongues, increases spiritual awareness, has calming and soothing influence, has ability to transmute negative into positive, very effective as a healing stone. Aquamarine: This beautiful stone has the calming energy of the sea. It can be used for protection when traveling, particularly if you will be on water. It helps to clear blocked communication and assists in verbal wording. Remind one of the Ocean of Love and Mercy. Stone of the new heart chakra center. Neptune. Tranquility, soothes the heart, inspires compassion. Assists inspiration, favorable for travelers; helps to protect against accidents. Calms nervous tension. Calming effects of the sea. Used to help banish fears and phobias. Soothing and cleansing. Powerful aid to happiness in marriage. Aventurine: Stimulates the heart chakra to aid in healing on the physical plane, place in a purse or pocket to attract money. Venus, Uranus. Joy, balance, clarity. Helps heal the Heart, lungs, and adrenals. 4th chakra. Aventurine benefits the thymus gland and nervous system. It balances blood pressure and stimulates the metabolism, lowering cholesterol. Aventurine has an anti-inflammatory effect and eases skin eruptions, allergies, migraines, and soothes the eyes. It heals lungs, sinuses, heart, muscular and urogenital systems. Azurite Saturn. Development of intuition, understanding and communication of Universal Law. Reduces personal stress and relax inner confusion. Powerful healing stone, invokes spiritual guidance, opens psychic eye. Good for dreams and improving psychic ability. Helps heal throat, arthritis & joints, spleen, and spine. 5th and 6th chakras. Azurite can help dissolve energy blockages, communication blockages, as well as blockages to one’s progress. Azurite calms and relieves mental stress. Beryl: This stone helps in filtering out distractions, relieving some stress, and can help to bring peace to your mind. Most times, these stones are used for harmony and balance. It can help the organs of elimination to function better, and it can strengthen the circulatory and pulmonary systems. This stone is known to increase the body's resistance to pollutants and toxins. It can also ease the effects of depression and helps with insomnia and other sleep afflictions. Bloodstone So named because this stone was at the foot of the cross where Jesus' blood dropped on it. It is used for calming and tranquility. It attracts good luck and is correlated to honesty and integrity. Earth. Physical healer, mental balancer, removes toxins from blood, combats physical trauma, stimulates blood circulation and stops hemorrhaging. Removes emotional blockages. A talisman for warding off all accidents and disease. Helps heal all blood disorders, lungs, eyesight, and heart. 1st chakra. An excellent stimulator of the immune system, use Bloodstone to ward off colds, flu, infections and inflammation. It is also a remarkable aid for revitalizing and re-energizing the body after illness, injury, or physical exhaustion. Blue Celestite: Neptune. Opens one up to the angelic realms. For detachment, clear perspective, divine inspiration. Blue Celestite sends energy to organs of higher chakras and can help with disorders that are related to eyes, ears, nose, and throat. Also acting as a detoxifier and pain reliever, Blue Celestite is good for those who have muscular pain, brain imbalances, and cellular disorders. The high vibrations of Blue Celestite crystal healing properties stimulate and support the throat, third eye, and crown chakras, making it an excellent stone for an overall spiritual detox. Calcite This crystal comes in many vibrant colors. It is used with the joints, cleansing the organs, and helping with memory. This stone will keep you anchored and help you feel comfortable no matter where you may be. Aids kidneys, pancreas, and spleen. Calcite balances male/female polarities. Alleviates fear, reduces stress. Increases capacity for astral projection. Joy, lightness. Chakra throat. One of the energies it amplifies is learning abilities, and thus is a great stone for students. Calcite is said to be good for easing back pains. Carnelian Saturn, Earth. Sacred to Isis. Protective, aids concentration. Access to past life data. Carnelian can motivate you and give you energy to turn your ideas into form. Stimulates the sexual/creative chakra, promotes protective, healing, peaceful, harmonious and patient energy, also eases PMS. Carnelian is a Wish Stone and is highly favorable to health, long life, and good fortune. Its special virtue is the fulfillment of one's wishes if the stone is worn near the heart. (orange in color) Helps asthma, and blood pressure. 2nd chakra. A stabilizing stone, Carnelian restores vitality and motivation, and stimulates creativity. It gives courage, promotes positive life choices, dispels apathy and motivates for success. Citrine A versatile stone, this one is mostly used for mental and emotional clarity and memory issues. 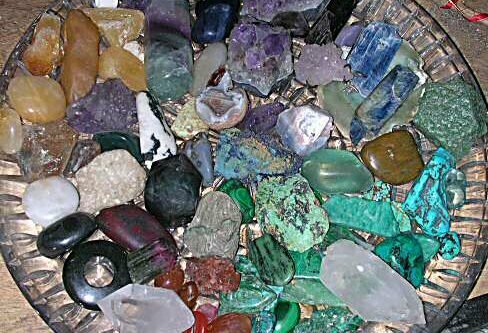 It never has to be cleansed of negative energy, because these stones are quite positive. Most importantly, it can help us rid those negative feelings and assist us in accepting events the way they are. Mercury, Mars. Bridge between higher and lower consciousness; transmutes fear. Helps to eliminate self-destructive tendencies, enhances courage and self-determination. Helps digestion, circulation. 2nd, and 3rd chakras. Coral Venus, Neptune. Love and harmony. Relieves throat and voice ailments, balances physical endurance. Promises a long and happy married life, protects a child from evil influences, and safeguards the teenager during the highly emotional period. Balances physical energy and relaxes tensions. Carries the creative vibrations of the sea. Emotional balance. Coral expedites and accelerates the transfer of knowledge. Coral strengthens the circulatory system and the bones of the body. It stimulates tissue regeneration and nourishes the blood cells. Diamond Absorbs all energies. Protects the wearer from bad dreams, demons and nightmares. A symbol of bravery and strength, and also one of the emblems of innocence. Increases personal clarity. Balances metabolism, detoxifies the body, and strengthens the eyesight. Vivifies all chakras. Ignore the monetary value and look at its properties. With other stones such as aquamarine, it can actually boost the stone's power. Some say that the blue inside the color spectrum of the stone can actually help with glaucoma. It was used as a detoxing stone in ancient times. Dioptase: A deep blue-green crystal, it helps the heart chakra release negativity and heal itself. It promotes sincerity and emotional balance and its healing can go deep into the earth. Dioptase can heal the heart by helping to free us from the limits of our past in order for us to embody our fullest potential with joy and peace. Any physical disease related to past traumas and abuse can be aided by Dioptase’s ability to help us forgive and release karmic patterns empowering us to be our true selves. Emerald Venus. Heart stone. Great harmonizer. Love, balance, understanding. Aids neurological diseases. Gem of hope and faith. Enhances speech and can act as a natural tranquilizer when you are worried. Promotes creativity and fertile ideas. Carry to promote wealth and abundance. Promotes creativity, stimulates perception and insight, and strengthen memory. Beneficial effect on the eyes. Also an excellent preservative against decay, arrests dysentery, and heals bites from venomous animals. Physical and emotional healing – tranquilizing affect on the heart and mind, inspiring calm, clear assurance. 4th chakra and higher. A symbol of love and good luck, this stone is used for harmony and peace. It also helps with depression and insomnia. Fluorite Neptune. Opens wearer to influence of other stones. Grounds excess energy. Considered a good luck piece. Also called Fairy Gem. Manifests innermost wishes. Promotes well being; enhances concentration and meditation. Powerful spirit guide. This stone has every color of the rainbow, usually translucent in appearance. It is used as a balancing stone. The stone is also used to heighten psychic ability and spiritual connections. It absorbs and neutralizes negative energy and stress. An excellent learning aid, Fluorite increases our powers of concentration, self-confidence and helps us in decision-making. Garnet Pluto, Mars. Aids kundalini to ascend in proper channels. Aids circulation. Balances thyroid disorders. Balance your energy system and stimulates your desires and uplift your attitude. Can prevent fears of insecurity and even money losses. Lucky stone-lucky for love, success and goals. Balances hormones, good for mental depression, enhances self-esteem, alleviates bad dreams, and encourages success in business. Thought to assist in seeing into past incarnations. Will ensure consistency in friendship and love, preserve health, and is generally fortunate. Vitality and passion. Stimulates happiness, peace, balance, patience, inspiration, persistence, good for rebirthing, menstruation and life passages, disorders, fertility, eases arthritis pain. Ranging in a multitude of colors, this stone heightens creativity and helps with the circulatory system. The brighter the stone is, the better it will work for you. It is used for help with exhaustion, strengthening blood, hormone balance, and fertility. It also helps us open up to others. Geodes: These are rock like on the outside and contain a crystalline structure on the inside. They usually contain forms of quartz, amethyst, and citrine. It helps with pursuits of math and assists in the decision making process. Geodes can help communicate with divine beings and assist in creating better moods, balances, and energies that can help with meditation, stress, and decision-making. They are beneficial to health because their beauty inspires well-being and spirituality. Most geodes contain either Quartz or Calcite, but can also contain Amethyst, Jasper, Chalcedony, Pyrite, Sphalerite, Hematite, Kaolinite, Ankerite, Aragonite, Dolomite or black Calcite. Gold: This is an all purpose type of metal. If placed in the sunlight for a time, it will become positively charged. It can help with degenerative diseases and chemical imbalances. It imparts an assertive energy to the wearer. It is symbolic of spirituality and development in the realm of complete understanding, allowing one to both attain and maintain communion with the source of all being. Gold has been called “the master healer”. It was considered that gold possessed an energy that brought warm, soothing vibrations to the body to aid healing, for when the body relaxes and the blood vessels in the cells aren’t as constricted, blood can move through the tissue spaces more easily. Since all healing is the growth of new cells replacing the dead cells, the body would heal much better and faster. Hematite This shiny stone is used for grounding and encourages survival instincts. It also helps to enhance memory, give mental clarity, and give the wearer a sound sleep. It deflects negativity and restores balance. It was used by the ancient Egyptians for hysteria and anxiety. Saturn. Grounding, focus, self discipline. Very strong stone; absorbs negativity. Gives optimism and courage. Calming to the emotions. Helps maintain balance between body, mind, and spirit. Use for fevers, alleviates worry and anxiety as it allows for mental clarity, known as the “worry stone”. Helps heal, tumors and anemia. 6th, 7th chakras. Herkimer diamond: My personal favorite: Chakra cleanser. Protects against radiation. Detoxes the body. Herkimer Diamonds are the most powerful of all Quartz crystals. Being doubly terminated, they have the ability to not only transmit their own energies, but to receive spiritual energy and to amplify and focus it intently. They are reported to be harder than all other Quartz, giving them the strength and durability to handle difficult challenges beyond the scope of other Quartz crystals. Herkimer Diamond may be helpful for the dispersal of accumulated toxins in the body and for rebuilding cellular structure, correcting DNA/RNA, cellular disorders and metabolic imbalances. It also may protect against radioactivity and treats disease caused by contact. Herkimer Diamond eliminates stress and tension from the body and helps to align the energy structure of the user. Herkimer Diamonds may be used to help support vision correction or healing of the eyes. Iolite: This stone is a bluish lavender color. It represents truth, peace, and living at a higher awareness level. It is one of the best stones to use in psychic healing and spiritual activities. It can help open your psychic abilities and expand upon them. It is mostly used for meditation and astral travel. Iolite aids in understanding and releasing the causes of addiction, allowing for the expression of one's true self, freed from the expectations of others. Iolite creates a strong constitution, ridding the body of fatty deposits. It diminishes the effect of alcohol and supports detoxification and regeneration of the liver. Treats malaria and fevers, and kills bacteria. Iolite aids the pituitary, sinuses and respiratory system. Alleviates migraines. Jade (Nephrite) Venus, Neptune. Cooling, water element. Soothing, healing. Promotes healing of vital organs. Used to attract love and compassion, prolongs life and enhances livelihood. A most sacred stone and a symbol of divine revelation. Brings good fortune and health to its owner. Stimulates practicality, wisdom, and universal attunement. Thought to provide a link between the spiritual and the mundane. Strengthens the heart , kidneys and immune system. Helps cleanse the blood. Increases longevity and fertility. Aids in eye disorders and female problems. This stone is used for health and wealth. It sends out a gentle, steady healing energy. It comes in a variety of colors and can be used on the chakra that corresponds with its color. This stone can help mellow your existence and rid you of negativity. It is a very protective stone. It is filled with revitalizing energies that can speed up healing or promote good overall health. It's a stone of health that can bring a lot of beneficial effects to the body while working on the underlying reasons for an illness or disease. Jasper Promotes healing of gastric system and balance endocrine functioning. Stability stone. Reduces your insecurities, fears and guilt. Promotes physical stamina. Aid and comfort during periods of female distress. One stone worn about the neck and another around the waist. Helps tissue regeneration and smell. 1st, 2nd chakras. This stone will work for practical solutions in your life. Its energy is used for grounding and protection. Jasper comes in a rainbow of colors. Native Americans used Jasper to help them connect to the spirit world and protect them while the traveled. Jet Pluto. Sacred to Pan. Helps to confront darker aspects of self and nature. Personal protection stone for safety while traveling. Healers also use this stone to help with epilepsy. Jet's energies of purification of energy and vibrations bring about protection on many levels. It has been used extensively for protection against evil and all negative energies. It is also a powerful protector against psychic attacks. People who are prone to stress and depression find relief in its calming effect. In dispelling negative energies and inclinations, the stone is able to help people manage their depression and be more open to welcome positivity and harmony in life. Kunzite: Heals the heart. 4th chakra and up. It is particularly supportive for a young or first-time mother and for all single mothers, and assists human, as well as animal mothers who may have a hard time caring for their young. It is a good stone for sleepless babies and over-active children, and is an excellent gift for girls entering puberty to help them love their changing bodies. This stone has strong metaphysical properties that aid you to lift your mood and to help you to heal emotional problems, such as anxiety and stress. Physically, Kunzite may be used to both strengthen and reinforce the heart muscles. Kunzite aids in the treatment of the lungs, strengthen circulatory functions, and lessen stress. Kunzite is helpful for conditions affecting the nerves of the body, such as neuralgia. It calms epilepsy and soothes joint pain, neutralizes the effect of anesthesia and stimulates the immune system. Kunzite contains lithium and is beneficial for psychiatric disorders and depression. Kyanite Neptune, Pluto. Aligns chakras and subtle bodies. Used for grounding and tranquility, this stone comes in several colors. It is used for visualization, dream interpretation, and meditation. It is also said if this stone is carried around in the pocket for a time, it will align all the chakras back to where they are supposed to be. Like Citrine, Kyanite is one of the two minerals on the planet that neither accumulates nor retains negative energy, and therefore never needs cleansing. Kyanite's energy is unlimited in application, making it an excellent stone for metaphysical purposes, and it may be used for cleansing and clearing other crystals. Kyanite treats the urogenital system, adrenal glands and parathyroid glands. It aids in disorders of the throat, brain and muscular system. It helps to heal infections and lower blood pressure. Kyanite is a natural pain reliever. Labradorite/Spectrolite Uranus, Pluto, Neptune. Opens heart chakra. Usually a metallic iridescent stone, it helps the wearer to share their strengths with the people around them by helping them to relate better to others. Don't clean this one with salt. It balances and protects the aura, raises consciousness and grounds spiritual energies. Excellent for strengthening intuition – promoting psychic abilities. Labradorite is beneficial to the lungs and may assist with respiratory problems, bronchitis, and colds. It assists in digestion, regulation, and metabolism. It may also be soothing during menstruation, for PMS symptoms, and for pain relief. Lapis Lazuli Venus, Neptune. Throat chakra. Stone of teachers. Clarity and ease of expression of higher wisdom. Strengthens the physical body during spiritual awakening. Stimulates wisdom, truthfulness, and psychic experiences, healing and strengthening when worn next to the skin. Strengthens the immune system. 6th chakra. This beautiful stone comes in many hues of blue. It will help to organize and quiet the mind. It gives us total awareness and insight into our dreams. Lapis is thought to enhance the ability to be truthful, and is therefore thought to be good for the throat and vocal chords. It also helps to balance the thyroid and endocrine glands. Malachite Venus. Solar plexus. Emotional balance. Strengthens physical and etheric eyes. Awakens healing qualities, it is said it helps to heal mental illness. Egyptians used it for safe-guarding pregnancy. The stone will break into two to warn the owner of approaching danger. Promotes inner peace and hope. Used as a child's talisman to sleep soundly and protect from bad dreams. Stimulates clear vision and insight, represents hope and inner peace, believed to protect from danger. Increases abundance in all areas of life. This stone supposedly has equal amounts of negative and positive forces, thereby adding to the balance of physical and spiritual life. Used to release repressed emotions and for physical detoxing. Harmony and balance. his stone has a steady flow of electromagnetic energy. It is used in healing and can clean the auric field by absorbing negativity. Place in all four corners of a room to cleanse of toxins. The stone must be cleansed daily. It will also help to amplify the positivity in your life, so use when you are feeling down or depressed. Meteorite: A solid brown to black mottled stone, it helps with greater awareness of your surroundings. These stones are in tune with the cosmos' energies and can help raise our own energies to a higher level. Meteorites are stones that originate in outer space from particles of comets, the asteroid belt, and planets and have survived the fall through Earth's atmosphere. The composition and color range of the meteorite is varied. There are three classes of meteorite: the irons, chondrites, and achondrites. In healing, Meteorite may be used in the treatment of anemia, strengthener for the blood and tissues, incoherence and melancholia. It may be used to assist one in understanding the physical body so that the body becomes one with the spirit. Meteorite offers strength and hope in the face of a long struggle or physical ailment. Moldavite Pluto, Mercury, Moon. Astral Projection, access to akashic records, wider perspectives. Take you out of your body–very powerful for astral travel. Excellent stone for channeling also good for the brain and central nervous system. This very high frequency meteorite is a stone of great transformation. It catalyzes change, bringing catharsis, growth and changes. Be aware that if these things are not what you desire, you may wish to find a gentler teacher. Moldavite stimulates connection to the stars and opens the heart to the Universal All. It powerfully stimulates the psychic senses, providing expanded mental vision, It assists in meditation, and in aligning self to Higher Purpose. 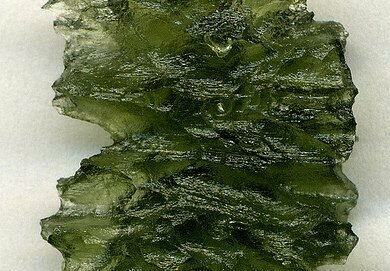 Read more about moldavite. Moonstone Moon. Sacred to the Goddess, moonstone may be used to enhance the feminine, strengthen psychic abilities, and increase sensitivity to natural cycles. Regulates the pituitary gland function. Lucky love stone. Aid in bringing forth memories of past lives, carried as a good luck piece. Brings good fortune. Reflects the wearers being and feelings. Promotes unselfishness. Opens the heart to humanitarian love and hope. Good for protection while traveling on water. Gives clarity to spiritual understanding. Good for premenstrual symptoms and balancing to the reproductive system. Used to ease childbirth. Sometimes called the Queen of the Heavens stone. Calming effect on emotions. Eases menstrual pain, alleviates many degenerative conditions in the skin, hair, eyes, and body fluids (tears, digestive juices). Absorbs pain and illness. Regenerates the tissues and organs. Heals reproductive system. 4th chakra. This stone comes in a variety of colors. It honors the Goddess in all women and also aids in dieting, meditation, and Psychic awareness. It can help give us greater flexibility and calmness in our lives. Obsidian Pluto. Transforms energy and emotions in a very powerful way. Not to be worn as jewelry. Also a powerful grounding and protection stone. Boosts immunity. Helps to prevent emotional draining from others. Protective energy glass. Grounding stone. This stone is formed when hot lava is poured into water. It has a strong grounding property and reduces the need for escape from life. It help to dissolve anger and fear and converts it t flexibility. Obsidian is truth-enhancing. A strongly protective stone, it forms a shield against negativity. It blocks psychic attack and absorbs negative energies from the environment. It can also help develop razor-like mental abilities and the powers of discernment. Black obsidian can be used for clearing out blockages in areas of your body that may be suffering from disease. In this way, it’s also great for detox and can help you deal with joint pain, muscle stiffness, and other similar issues. Onyx (black) Saturn. Stabilizing. Mirrors all aspects of the self, dark as well as light. Transformative. Protection and keeps away bothersome entanglements. Protects against the bites of snakes and venomous insects, and assists in bringing marital happiness. Helpful in treating glaucoma, epilepsy, and cell damage. Attuned to 1st and 5th chakras. This stone helps to balance and ground the wearer. It is used for centering the person to connect with higher powers. It can help to banish grief and enhance self control. It also brings balance to the body and good for people under mental and emotional stress. Onyx can assist in building one's energy and boosting poor immune systems to improve overall health. Onyx is a fantastic gemstone for those enduring long tasks, lengthy work projects, and weight loss. Opal Mercury. Links physical body to higher bodies, allowing greater access to cosmic consciousness. Keep away from other stones, it will absorb all energy. A stone of hope, positive actions, achievements and love. See possibilities; Discover a broader view. Heals and clears eyesight, and balances the metabolism. 5th, 6th, and 7th chakras. This sparkling stone amplifies feelings or buried emotions. It gives us the ability to be more spontaneous. It is a very fragile stone and will crack in the sun. It can also help to balance the left and right brain. Paua (Abalone) Shell Neptune. Aids one in accessing the subconscious for emotional and artistic inspiration. Abalone healing carries energies of protection and emotional balance. It brings with it a natural shielding that blesses the person holding it with tranquility. Abalone healing is especially helpful for those going through emotional turmoil or those having a hard time dealing with a situation in a relationship. Abalone will help with anxiety and stress related issues in high strung individuals. It will also help with relief with arthritis, joint disorders, muscular problems, the heart and the digestive system. Abalone shell strengthens the immune system, energizes the body and aides in the assimilation of proteins. It is very helpful for athletes that would like to help build and protect healthy muscle tissue while strengthening the heart muscles. Pearl Venus. Purity, chastity, emotional clarity. Promotes antibodies and fights infection. Stimulates your femininity and helps with self-acceptance. Give a pearl to a child to help him or her grow in beauty, especially a little girl. Stimulates feminine qualities, used to focus attention, helps pull together mental and spiritual forces, peace of mind. Represents purity, modesty, and gentleness. These stones are symbolic of a pure heart and innocence. It is used in balancing the emotions. It is a very nurturing stone, but it will hold negativity until it can be cleansed. They help to stabilize the mind and stimulate the heart. It is also said pearl powder can be used on the skin like a skin cream for wonderful effects. Peridot Mercury. Creates feeling of protection, allowing heart to open. Unblocks congestion. Aids adrenal function. Use this stone as your sun stone to prevent personal darkness from your fears and guilt. If you become depressed or fearful, a peridot can aid in changing your attitude for it may just radiate the sun's energy as an additional resource to guide you. Strengthens, and regenerates all organs, stimulating new, healthy growth. Balances biorythmic cycles. Protects the user from negativity. Helps heal infection, ulcers, and thyroid. 4th chakra. This stone is a visionary stone and is used for health and wealth. It assists us in connecting to our destinies and in understanding the purpose of our existence. It can help the body release toxins and with mental cleansing. Petrified wood Restores physical energy, helps hip and back problems. Ground and secures you, aids in preventing work stress. Restores your physical energy. It is said to help the skin and muscle tissue. This stone helps you become more aware of all things in nature. It also can assist the wearer to connect with past life experiences and issues and bring them to light so they can be dealt with in this life. Pyrite Mars. Vitality, strengthening of Will. Enhances mental capacity and attracts money to owner. Has protecting, shielding aspect for physical, mental, emotional levels. Shields from negative energy, strengthens circulatory system, clears oxygen in the blood. Also known as fools gold. Pyrite is a very protective stone, shielding the user from negative energy of all kinds. Pyrite blocks energy leaks and mends auric tears. Carry Pyrite in your pocket to protect you from both environmental pollution and physical danger. Pyrite is helpful for any type of infection and can purify the systems of the body. Pyrite can be used to bring a feeling of increased vitality during times of hard-work or stress. Pyrite is also great for balancing one's energetic fields. Quartz Uranus. Purifier, protector, spiritual awakener. Raises Vibratory rate. Enhances qualities of the bearer, raises the vibration of other stones with which it is stored or used. Used for directing energy. Amplifies healing energy. Used to help draw out pain. Able to tap into energies of the universe. Good stone for meditating on. Very potent and often worn to protect from negative vibrations. Cleanse regularly. Removes negative energy – Universal conduit. Amplifies, focuses, stores, transforms, energies. There are so many different kinds of Quartz and in a rainbow of colors. It is known as the most versatile healing stone. It is used for harmony and sending guidance to others. The stone is also used in balancing the Aura. Clear Quartz is known as the “master healer” and will amplify energy and thought, as well as the effect of other crystals. Stimulates the immune system and brings the body into balance. They are said to be usable for healing any condition, and are known for their purifying effects. Because of their unique power to take on the energy of any situation (much like their color, white, contains all other colors), quartz crystals are one of the single most beneficial stones that you can introduce into your life for purposes of healing. Rhodochrosite Mercury, Venus. Holds any force field. Draws white light into the physical body. Prevents mental breakdowns, balances physical and emotional trauma, a rescue/remedy stone. Can beautifully guide you in your quest for emotional happiness. Adds courage, will, passion to the loving heart vibration. Represents love of God. Milky pink stone with definition. Rhodochrosite opens the heart, lifting depression and encouraging a positive and cheerful outlook. It improves self worth and soothes emotional stress. Rhodochrosite is traditionally used to assist the heart and circulatory systems, stabilize blood pressure and pulse rate, and placed at the base of the skull, to relieve tension migraines. It is thought to correct thyroid imbalances, and remove irritants from the lungs, ameliorating breathing problems and asthma. Rhodochrosite is highly effective for skin disorders. Shingles, a painful viral infection caused by the chicken pox virus, may emerge when one is depressed or in mourning, and some types of rash, hives and boils are physical manifestations of stress, depression and anxiety. Rhodonite Restores physical energy, especially following trauma or shock, another rescue stone. Attracts or keeps a loving partner. Pink stone with black highlights -very defined. Emotional support. Helps one take the next step emotionally. Helps heal the heart and all blood impurities. Detoxes the body. 4th chakra. This is called the stone of love. It calms the heart and helps with grounding and balancing. It will allow us to focus on tasks and gets rid of confusion. It can also help in spiritual healing and communication. It supports the flow of chi throughout the meridians of the body, directing essential strength to the endocrine system which increases one’s energy and vitality. It strengthens the muscles and heart, and stimulates circulation. Though not a purifier in itself, Rhodonite boosts the organs and glands, allowing them to purify the body more effectively. It is thought to assist in ridding the body of gallstones or kidney stones, and can support the healing of the liver from disease or damage. Rhodonite contains manganese and is considered one of the best stones for healing injuries, cuts, and bleeding wounds, and for soothing insect bites and stings. It may be useful for reducing scar tissue or birth marks, and aiding skin conditions due to allergies. Rhyolite Rejuvenates physical beauty. Physical and emotional stabilizer. Physically Rhyolite is said to be an anti-aging stone. Rhyolite helps to fortify the body's natural resistance. Rhyolite treats veins, rashes, skin disorders, infections, improves the assimilation of B vitamins. Rhyolite also may be helpful in dissolving kidney stones and softening hardened tissue. As an elixir Rhyolite gives strength and improves muscle tone. Rhyolite for past-life regression may be placed on the forehead (under direction of skilled therapist) and for the emotional release placed on the solar plexus. Green Rhyolite is an overall healer and supports healthy well-being. Green Rhyolite may be helpful in the treatment of diabetes, hypoglycemia, ruptures, and varicose veins. Rose Quartz Venus. Self love, friendship. Promotes skin rejuvenation. Boost and build your image. Especially good if you have a weight problem, it will greatly foster your personal self-acceptance. Worn or carried for love, fidelity, peace, and happy marriage. Aids intuition and emotional balance. Reduces stress and tension – cools hot tempers. Vibrations of universal love and inner serenity. Comforts heart from all wounds, helps heal emotional pain, enhances love, self-love, positive outlook, joy and oneness. Heart chakra. It may also be beneficial in diminishing the appearance of unsightly scars. Use as an elixir to clear the skin, reduce wrinkles and promote a soft complexion. Rose Quartz stimulates the proper functioning of the heart and circulatory system. It aids in relieving tension and stress, palpitations or skipped beats, and may stabilize irregular heart rhythm. It is ideal for premature babies or young children with heart weakness or disease, or anyone who needs a stronger, more stable heart. Ruby Sun, Mars. Heart Chakra. Compassion, leadership, heals relationship to father. Prevents schizophrenia. Adds energy to the body; attracts wealth, power and joy. The stone of freedom, charity, dignity and divine power. Increases vigor, renews vitality and cleanses the blood. The stone of courage. Helps banish grief for those in mourning. This deep red stone helps with blood sugar levels and re-energizing after going to exhaustion. It will amplify the wearer's positive and negative energies, so be careful. It can also bring anger to the surface very fast. The stone will help with healing and enhances the psychic ability and insight. Ruby detoxifies the body, blood and lymph and treats fevers, infectious disease, and restricted blood flow. It is extremely beneficial for the heart and circulatory system. It stimulates the adrenals, kidneys, reproductive organs and spleen. Ruby is helpful in regulating the metabolism and promoting feelings and appreciation of our physical bodies. Ruby provides support for those recovering from addictions and self-abuse. Rutilated Quartz Sun, Uranus. High electrical charge. Powerful healer. Rutilated quartz is highly energizing, and can bring passion into difficult times or difficult projects. It is especially useful for any work that you have to do that you may describe to a sympathetic friend as “soul-crushing.” Rutilated Quartz Crystal has a vitality that is helpful for chronic conditions and for impotence and infertility. Rutilated Quartz Crystal is excellent for exhaustion and energy depletion. It is helpful in the treatment of respiratory tract issues and bronchitis, stimulates and balances the thyroid, and repels parasites. Rutilated Quartz Crystal stimulates growth and regeneration in cells and repairs torn tissues. Rutilated Quartz Crystal’s energetic vibrations may be helpful in the absorption of toxins released from mercury-amalgam fillings. Sapphire Neptune. Aids spiritual understanding. Increases level of potassium, magnesium and calcium. Stone of destiny. Contributes to your mental clarity, perception and wisdom. Mental Clarity; Clear mental garbage. Carrier of the Blue ray. A dark blue stone, it helps in communication, insight, and intuition. It is strongest when placed next to the skin. It helps to lessen tension and align the physical, mental, and spiritual realms. Black Sapphires are the most protective. Sapphire assists in healing all parts of the body and soothes insomnia. Used externally or as an elixir, Sapphire water is considered a good purifier and should be used as the seasons change. Long used as a curative for eye infections and improving eyesight, Blue Sapphire is also used to relieve headaches, fever, nosebleeds, and issues of the ears, including hearing, infection, inner-ear imbalances and vertigo. Selenite Moon. Soothing, nurturing, inspirational. This is a type of gypsum stone with white striated crystals. It is used to work against the effects of cancer and helps to stabilize people that have epileptic episodes. The wearer must visualize the warm light bringing energy and healing to them. It may also help with issues of letting go. These crystals are primarily used as talismans to dispel feelings of worry and self doubt. They will help you rid yourself of the negative energy that worry builds up in your aura. Selenite aligns the spinal column and promotes flexibility, guards against epileptic seizures. Selenite neutralizes mercury poisoning from dental amalgam and may reverse the effects of free radicals. Selenite may also help clear sinus, eye, ear and nose infections. Silver: This shiny metal can help with issues of mental and emotional cleansing. It helps by giving a balance to your emotions. The metal is good for those with diminished memory and irrational fears. It is a less assertive stone than most others. Silver will reflect negativity away from you, which makes it a stone of magical protection and security. Physically, Silver helps to detoxify the body and increase the absorption of vital minerals and vitamins. Silver has antimicrobial and antibacterial properties, and it has been used throughout the ages to cure infections and help heal wounds. Now interest in silver is growing in the medical community because new studies have found that it can kill a wide range of bacteria and viruses, including the very dangerous E. coli and Staphylococcus. Smoky Quartz Neutralizes negative influences. Good for people with radiation-related illness; helps with the reproductive system, muscle tissue, and nervous system; influences positive change. Mercury, Earth. One of the best grounding stones. Balancing. Good for calming the mind. Eases depression, fear and panic. It gently heals emotional conditions and trauma, overcomes lack of trust, and supports one in coping with stress and strain. It provides a vital shield against psychic attack, emotional and environmental stress, and is used extensively in healing and meditation. Like other forms of Quartz, Smoky Quartz may be used in treatments of the adrenal glands, pancreas, kidneys and other organs of elimination to energetically remove toxins from the body. It is believed to help regulate fluids within the body and the assimilation of minerals. It has also been used to relieve chronic pain, muscle cramps, headaches and tension of the shoulders and back. Sodalite Venus, Pluto. Opens throat chakra. Physical healer. Transformative. (Blue speckled stone). Promotes a balance in thyroid metabolism. Opens up lines of communication and helps us to develop creative ways in order to communicate. Alleviates fears, Clears the mind. Protection from external negative energy. This crystal is recognized for its healing and meditation powers. It can help the wearer express themselves better due to the connection with the Throat chakra. It can assist you in being more objective and less critical of others and everyday happenings. Sodalite may be helpful with the healing of skin irritations, jaundice, reduces inflammation. The energies of Sodalite cleanse and tone the lymph glands. Sodalite may be helpful in balancing the metabolism, overcoming calcium deficiencies, boosts the immune system. Sodalite combats radiation damage, insomnia, treats throat, vocal cords, larynx and is helpful for hoarseness. Sodalite may also be useful for digestive disorders, cools fever, lowers blood pressure and stimulates absorption of body fluids. Tanzanite: This is a rare blue violet stone. It is a stone of magic that accentuates spiritual awareness and insight. It is also used in relieving depression. So named because it was found in Tanzania, this gorgeous stone helps to dispel negativity. Tanzanite is said to strengthen the immune system, detoxify the blood and improve vitality. It promotes the regeneration of cells, skin and hair, and protects against the side-effects of medical or surgical intervention. It is also believed to help bring one from a comatose state. In healing, Tanzanite may be useful in calming an overactive mind, thyroid or exhausted adrenals. Tanzanite may be beneficial for reprogramming cellular memory, past-life healing, hearing-loss, workaholics, depression, and anxiety. Tanzanite supports healthy hair, head, throat, chest, kidneys and the nerves. Tanzanite may be used to reduce inflammation, promote cell regeneration, and support healthy spleen and pancreas. Tigers Eye Mercury, Earth, Mars. Sacred to Bast and Sekhmet. Helps one to distinguish between actual need and false desire. Reduces headaches and nervous spasms. Calms emotions, protects against external stresses. To restore physical energy and quiet emotional nature. Helps heal wounds, bruises, eyes and throat. 5th chakra. This stone is widely recognized an is used for money, courage, and luck. It amplifies thinking and helps you to bring your ideas to reality. It is used for centering and grounding and helps us recognize our strengths and weaknesses. It was known as he true balancer of Yin and Yang in ancient China. Tiger’s Eye is a blood fortifier, increasing vitality and strength, and restoring balance to the body on all levels. It is thought to boost the endocrine system, bringing one’s hormones and biochemistry back to level, and placed on the reproductive organs, may stimulate fertility and resolve issues arising from past experiences. Tiger’s Eye placed on either side of the head energetically rebalances the brain’s hemispheres, and as this stone holds energy of the sun, may relieve seasonal affective disorder and depression. It is effective for alleviating nightmares, and is reputed to relieve asthma attacks and angina, and help lower blood pressure. Topaz Mercury. Bridge between higher and lower consciousness. Assimilation of abstract information. Fights kidney and bladder ailments. Calms your emotions, relieves your tensions and stress and restores your physical energy. Will make melancholy vanish when worn or carried in the left hand. Calms emotions, protects against external stresses. To restore physical energy and quiet emotional nature. Protects against insomnia and depression, mood elevator, revitalizes, stimulates creative thinking processes, eases death. Helps to break up stagnation of energy within the body, and assists with the elimination of toxins. 3rd chakra and higher. Topaz soothes, heals, stimulates, recharges, remotivates and aligns the meridians of the body – directing energy to where it is needed most. Tourmaline Prevents lymphatic diseases, battles anemia. Black – deflects negativity. Very protective. Lifts fears and negative conditions. Causes the wearer to be flexible, understanding and more objective in purpose and reason. Green – refines, strengthens, directs will. pink – love and sacrifice, devotion. watermelon – corrects imbalances, eases guilt. It balances the right-left sides of the brain. Helps treat paranoia, overcomes dyslexia and improves hand-eye coordination. Tourmaline releases tension, making it helpful for spinal adjustments. It balances male-female energy within the body. Enhances energy and removes blockages. Tourmaline emits far infrared radiation in the 4-14 micron wavelength. Electromagnetic radiation in the far infrared range is able to boost the immune system and promote detoxification. In fact, far infrared therapy is widely used in Japan by Kikohshi, people who heal by the laying of hands. This form of resonance absorption helps relieve stress, increase alertness, stimulate circulation, and boost the immune system. Turquoise Venus, Moon. Symbol of the sky. Works on respiratory system, helps manifest spiritual qualities on the physical plane. Protective; guards against negative energy, danger, accidents; promotes good luck. Can relax your mind and ease mental tensions, calming your emotions and stress over-stimulation. Self-love stone. Primary holy stone of Native Americans. Vibrates calming radiations, protective, and restores healthy mental attitude. Stone of friendship. Balancing and healing. Great strength and vitality. Takes on characteristics of the wearer. It is unwise to wear a turquoise formerly worn by one who has died. Excellent for both Spiritual attunement and healing of the energy centers and the physical body, valuable for grounding as well as for vision quests and astral travel, purifies all levels of being and is capable of handling strong negativity, also used for wounds and for damage to bones. Aligns all chakras, Strengthens and calms the mind and body. 5th chakra. As a healing stone, Turquoise is among the crystal healing master stones. The healing powers of Turquoise can benefit the whole body, with special strengths in healing ailments of the immune, respiratory, waste and skeletal systems. Zircon: This stone comes in all colors, but is a clear crystal most of he time. It helps the wearer to see universal truths and have a connection with all that is. It helps to relieve depression and insomnia. It also was used back in history as a poison detoxifier. Physically, Zircon helps with muscle and bone disorders; relieves insomnia, allergies and vertigo; heals infections and viruses, and balances the pineal gland. Zircon has an anti-spasmodic effect on the liver and gall bladder of the wearer. These crystals also have some beneficial effect on lung infections, bronchial problems, severe colds, and issues related to respiratory system. These stones are considered to ease the pain, which also includes menstrual pain.